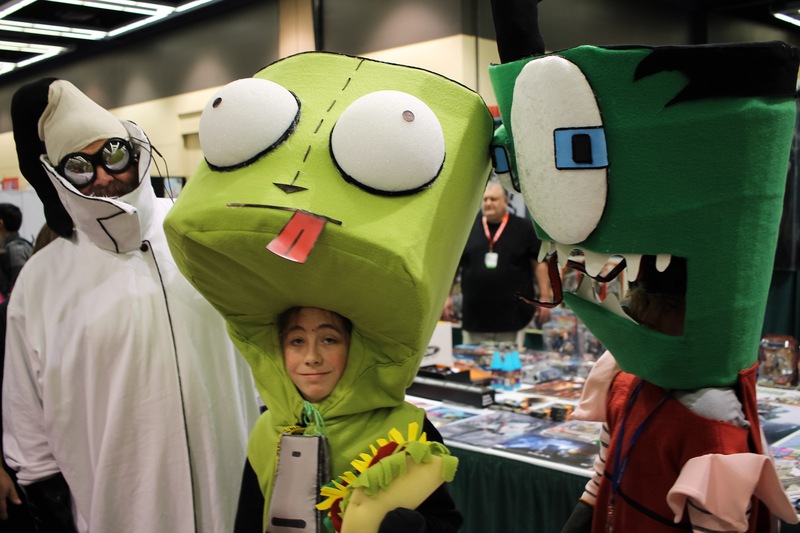 Home » CONVENTIONS » Fun Times at the 2016 Emerald City Comic Con..
Pics and notes of Seattle’s biggest comic convention in 2016! 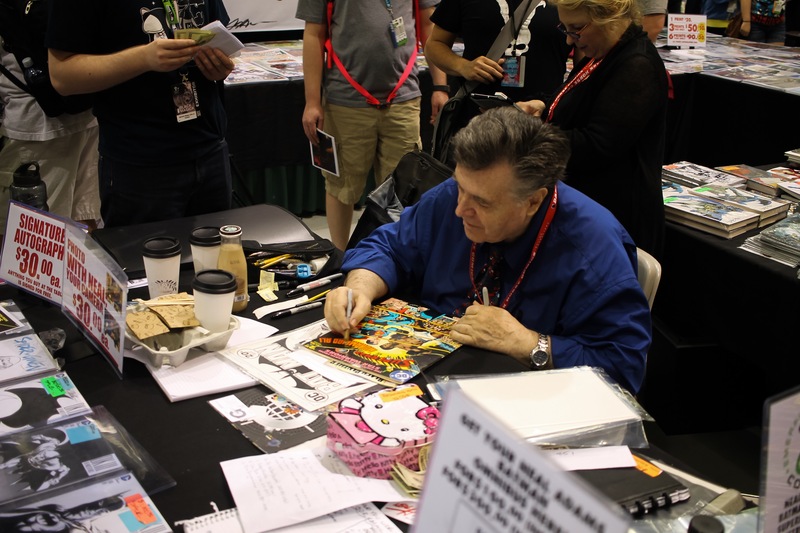 Last weekend, the Emerald City Comic Con happened in much awesome splendor and good times. 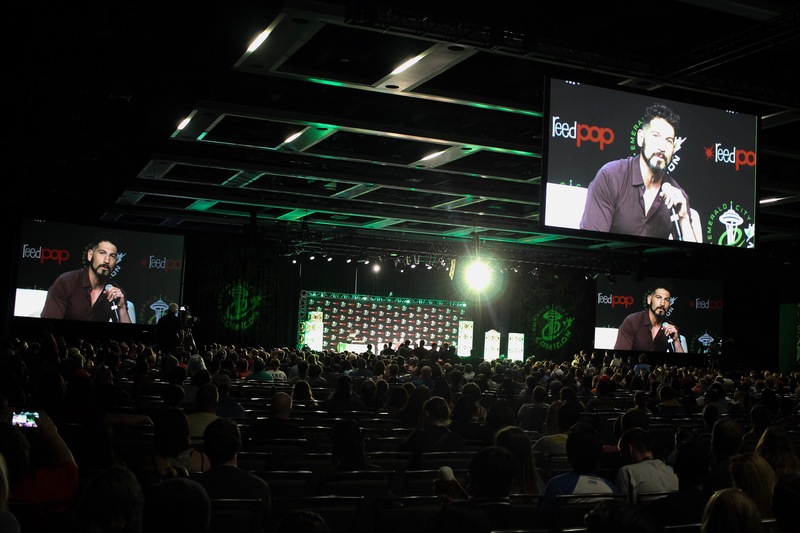 Still in the Seattle city, the ECCC took it’s 14th annual turn under the new management of ReedPOP (best known for their New York Comic Con). This was my 4th year in attendance, being happy for much of it. 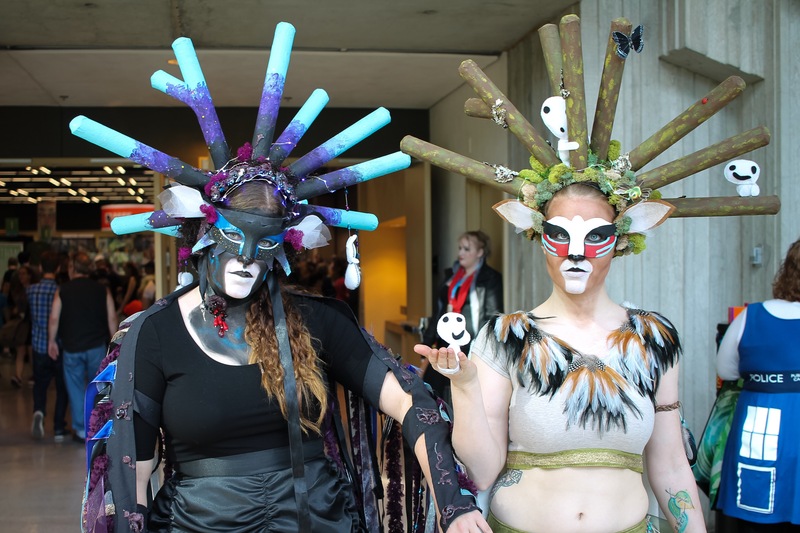 I enjoyed the Exhibit Floor for the most part, with a great choice of local and indie creative talent. 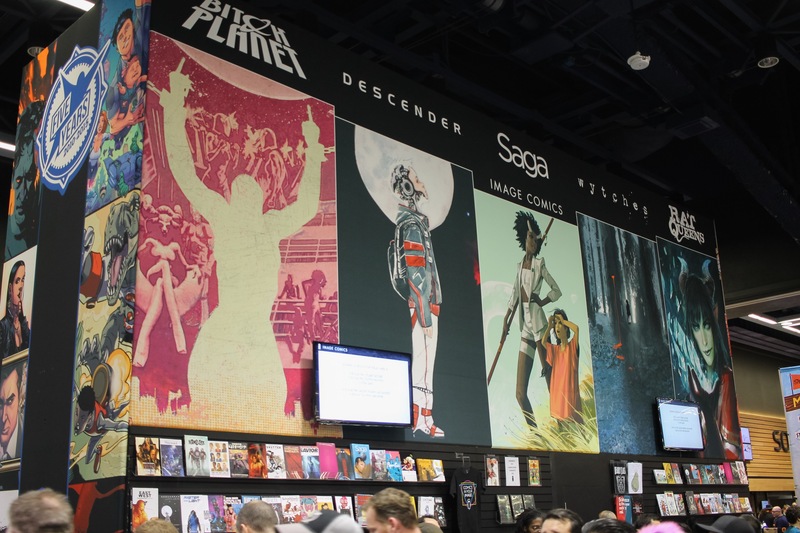 But, I wish there was more of a presence by the big comics publishers for show exclusives and signings. 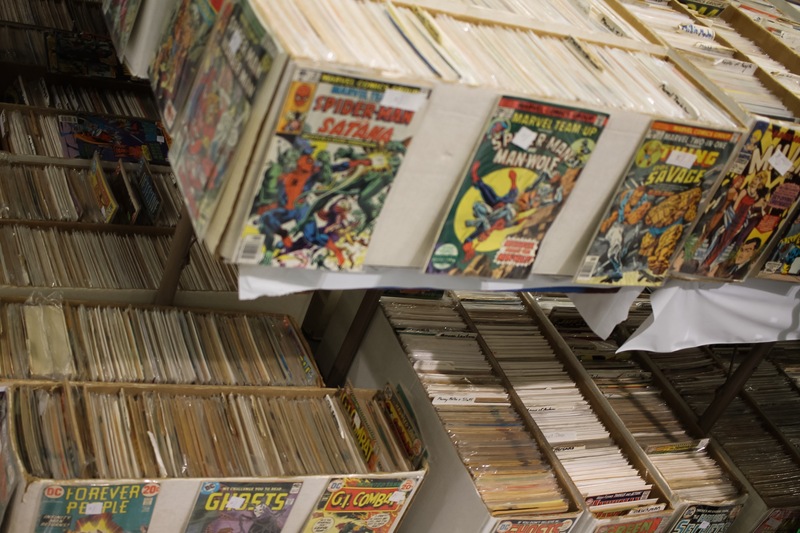 Venders were in good supply for those who like comics and toys. Games were very much distant and in a different area, easily missed unless engaged in such activity. Overall, good fun for those who enjoy the art of browsing and shop. I took some pictures and notes, with favorite highlights featured below.. 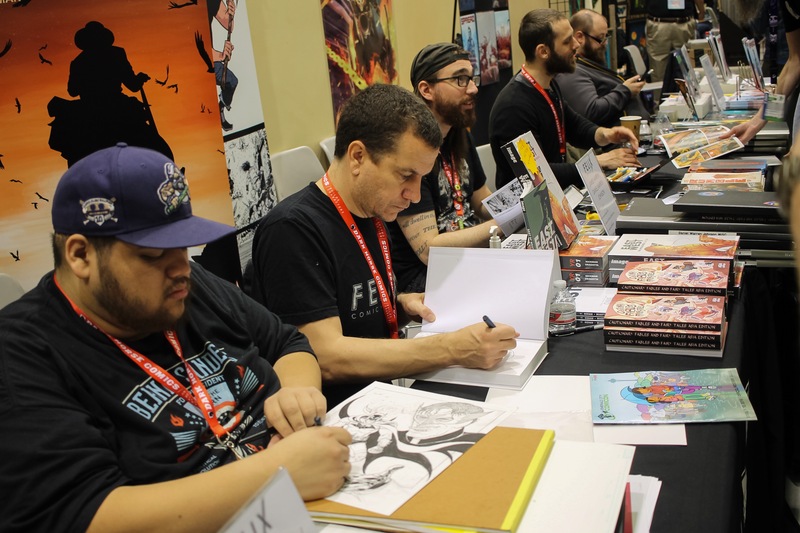 Always a cheer to see a row of artists engaged with fans. 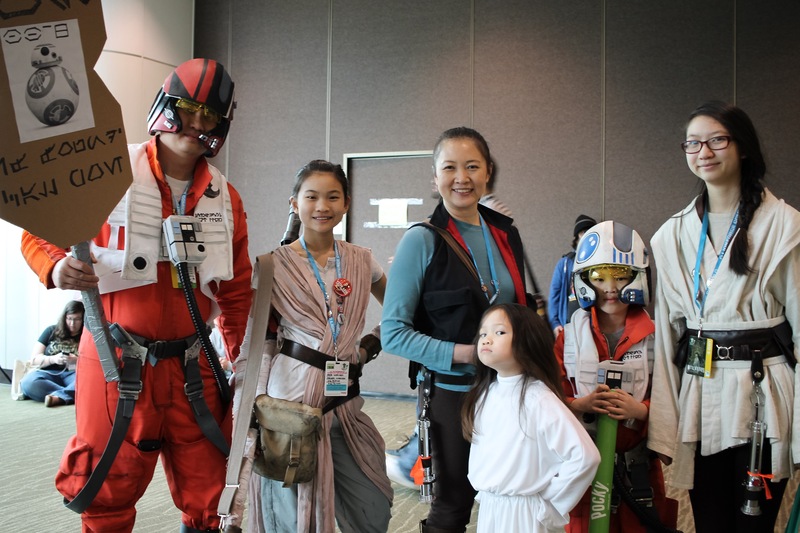 Star Wars cosplay was big as usual, but now with more Reys and Kylos. 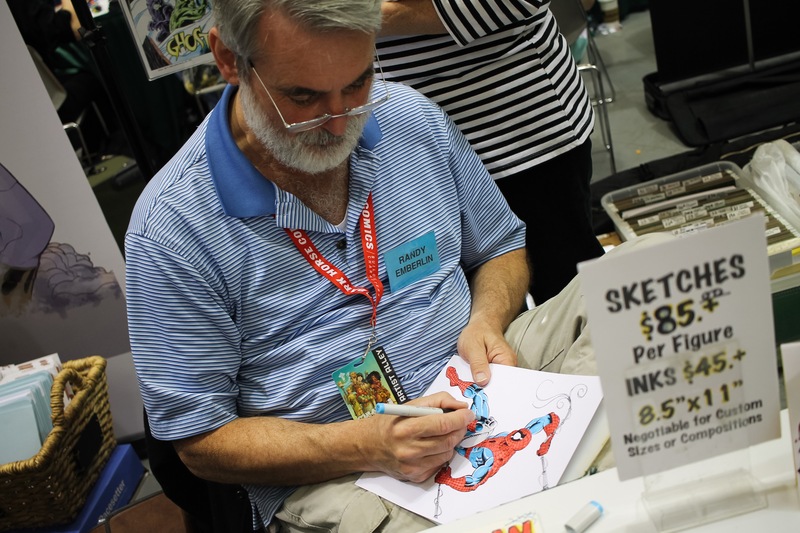 A favorite thing for this con was the abundance of dirt cheap comics, with much at 10, 25, 50 cents, and 3 for a dollar. 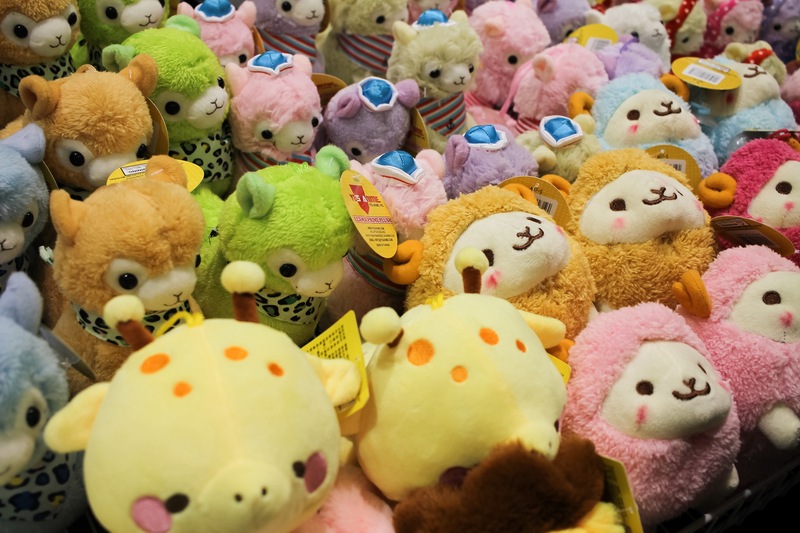 Many cheapskates rejoiced in this epic treasure hunt! 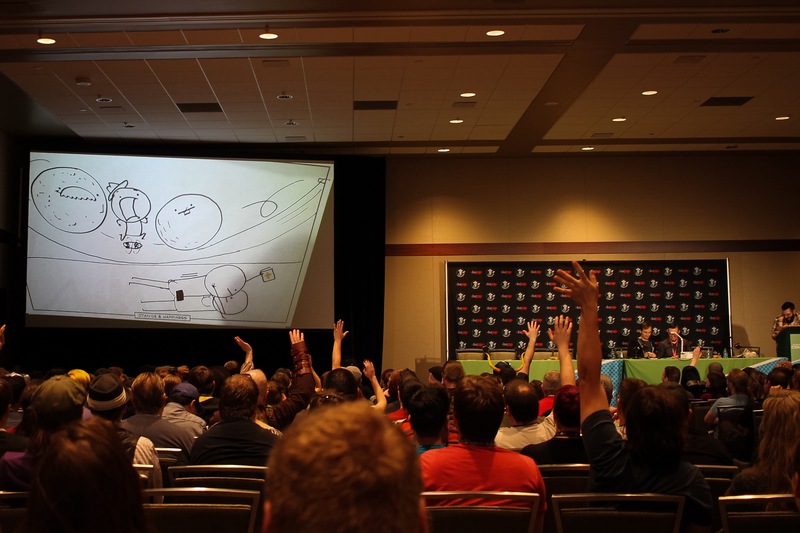 One of the best panels of the show, a live sketch by the artists of popular web-comic Cyanide and Happiness. Most of it was very adult, with heavy bathroom humor, as directed by the audience giving them ideas on what to draw. We also got some local Seattle vibes here, with local team spirit on display. NFL cornerback Richard Sherman was among the con guests for this year. 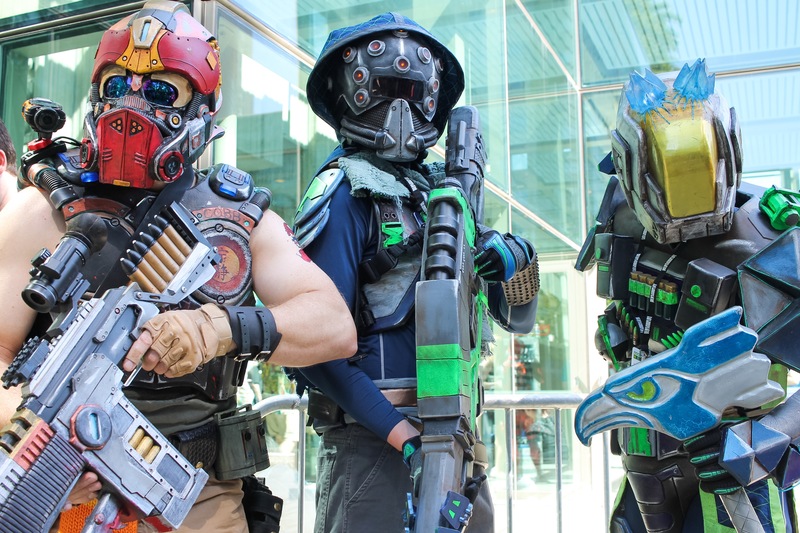 Podcasters are showing more presence at these convention gatherings. 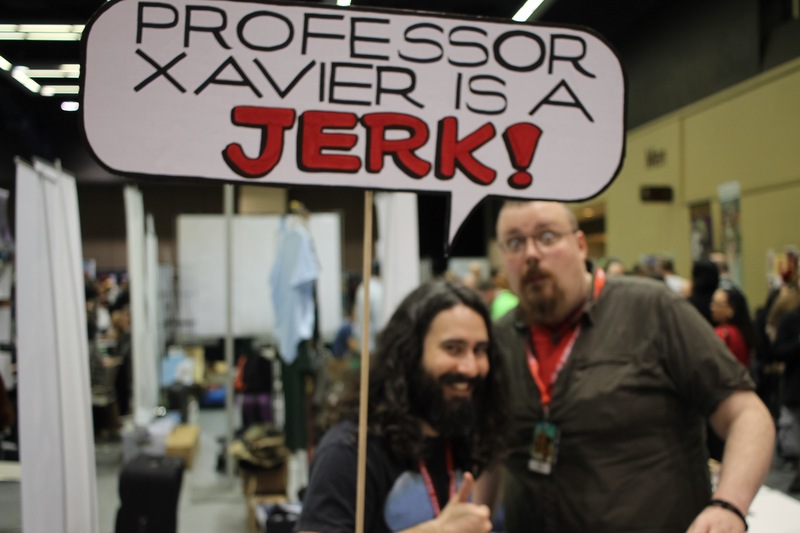 Here, I met and discussed Marvel’s Mutants with the hosts of the Jay and Miles X-Plain the X-Men podcast. 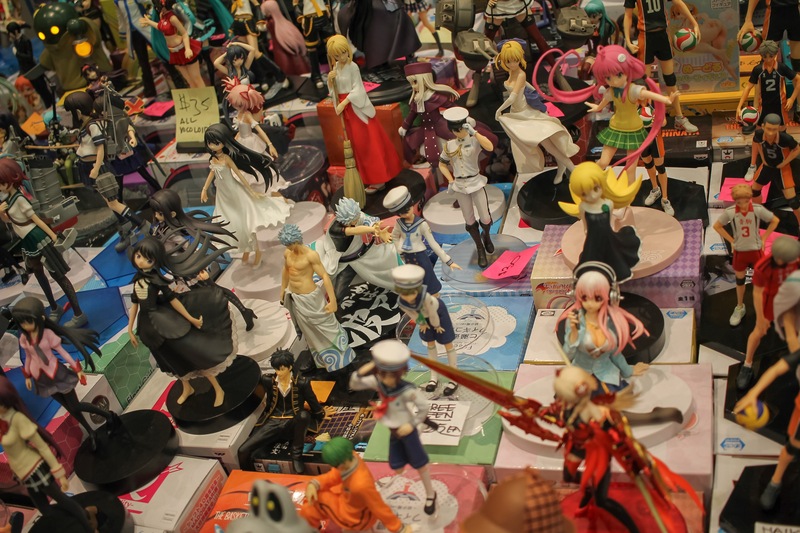 Though a bit in decline, there are still some booths with some awesome Japanese import figurines. 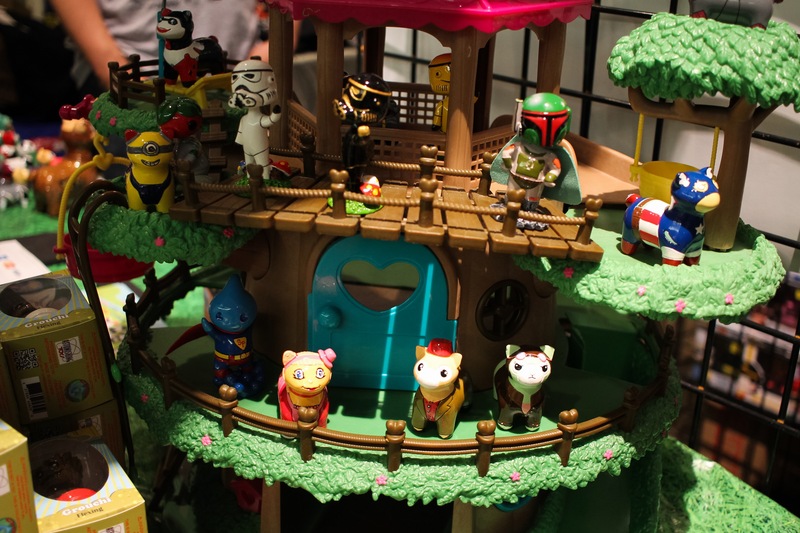 The Chibi Essense booth, full of fandom and cute craft. Author David J. 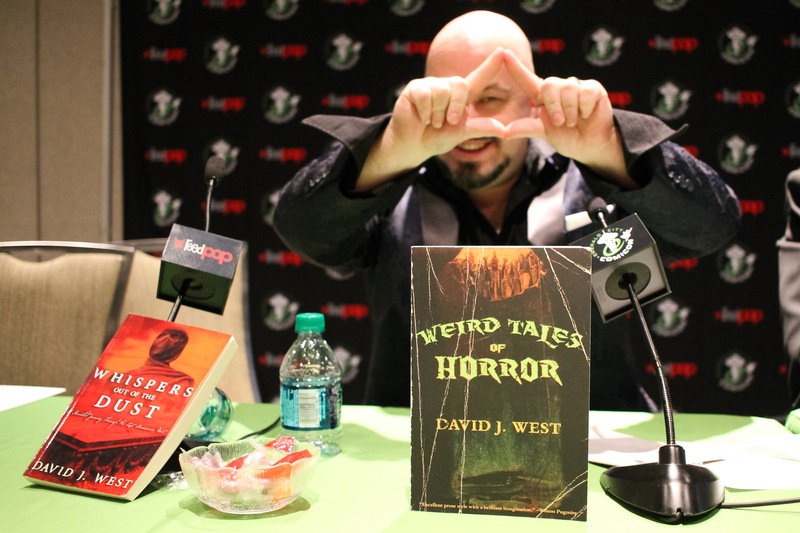 West represented the Illuminati in the much fun “Choose your own Apocalypse” live role-play at the Space Balrogs panel. I have his book now, of which I will enjoy reading soon. 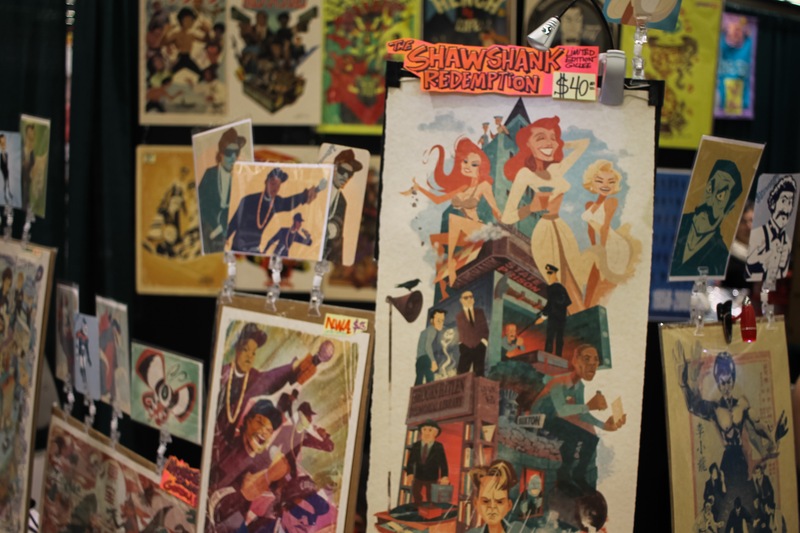 A sampling of the awesome prints, one could buy at this and similar comic cons. 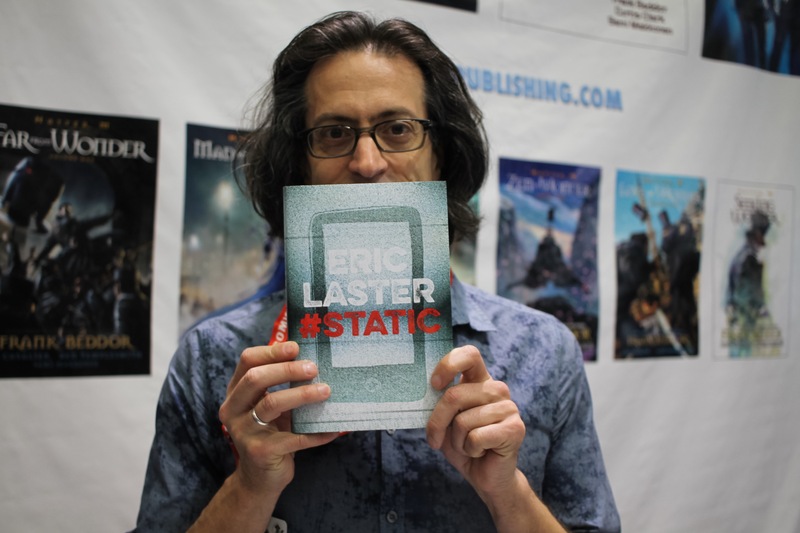 Sci-fi author Eric Laster, hiding behind his awesomeness. 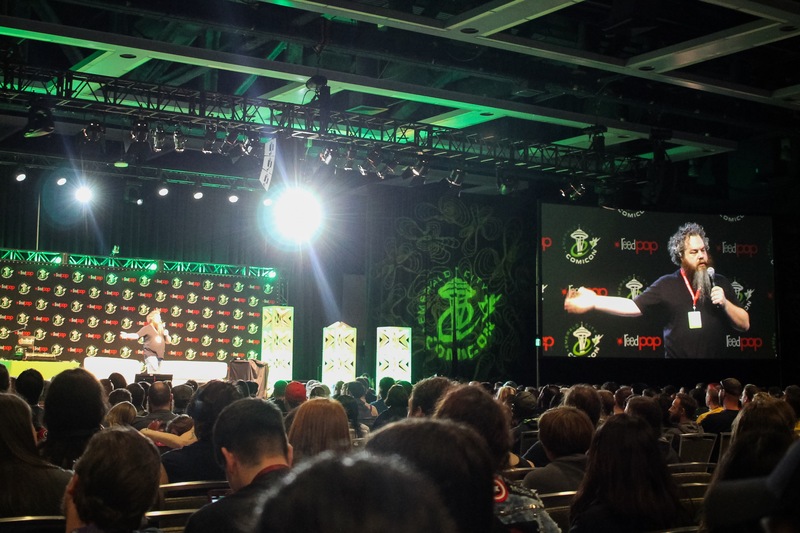 Echoing within the Emerald City, from the Spooky Forest..
At these comic cons, zombies will never die..
Famed author Patrick Rothfuss entertains the large crowd for a while.. I think League of Legends, though not quite sure. That’s enough commentary for now. 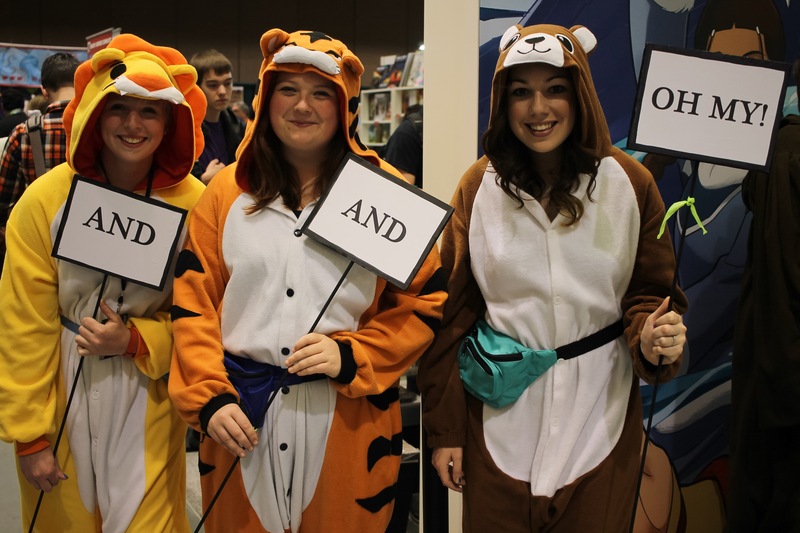 Stay tuned here on SW for another entry on this year’s ECCC show, the cosplay!